Tag Archives for " property coach "
Property Sourcing has the potential to earn a lot of money quickly. But it has to be done right. So first you have to find the deals, then you have to package up those deals ready for presenting, then you have to ensure you have a mailing list full of investors. 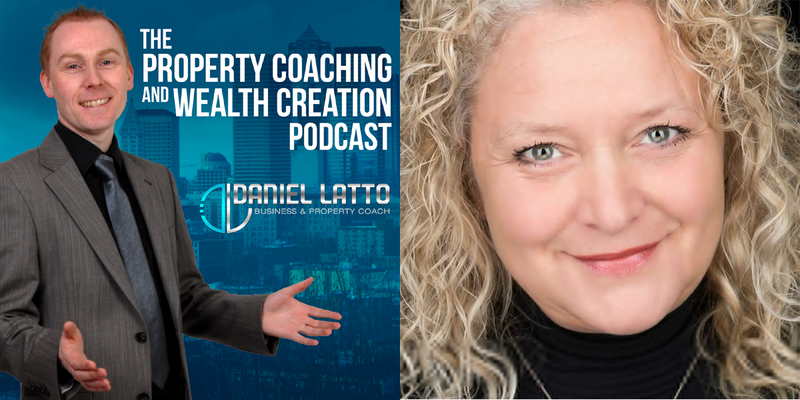 In this podcast I talk about Property Sourcing and why it could be a good first step for you. Just because this podcast was made back in 2016, doesn't mean you can't apply the things mentioned in starting your investment in property right now. In 2016, with all the new tax changes coming through, property investing is taking a hit. But it will calm down over time as it always has done. The market may change but the key to protecting yourself is to have enough cash on hand so that if a problem arises you're safe. Cash can solve A LOT of problems. It doesn't solve all of them, but it can really help when cash is needed to solve the problem. And if you're looking to get started in property, then cash is definitely your friend. Take a listen - hope you enjoy it. In this podcast, I interview David France a professional Property Sourcer who is closing deals every single month. 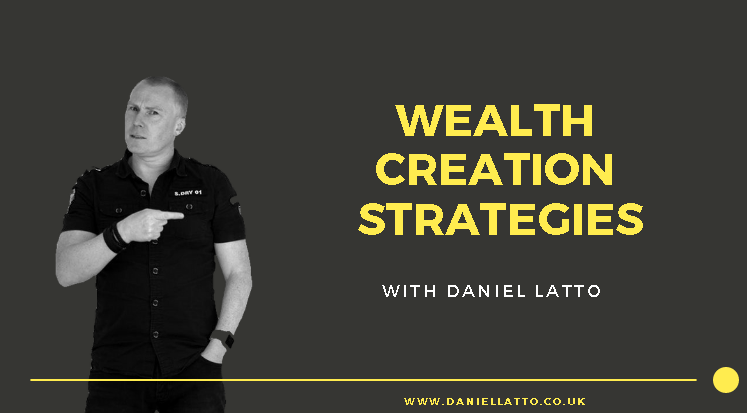 We talk about the 5 methods he used for sourcing properties and how he teaches people to create a property sourcing company. We also cover tenant buyers, the tax changes and the effect the Brexit has had. When we visited Leeds last month we popped into Roundhay Park - so we made a short video. Investing in property made it so that we can pretty much go wherever whenever (and we chose Roundhay Park!) - we were in the UK visiting family and I just picked up the new Samsung S9 and wanted try out the 'slow mo' function of the camera. So we ended up in Tropical world at Roundhay park. Flipping and refurbishing properties have been a hit in the real estate scene. It's a good start for anyone looking to explore property investments and it's always good to recycle than spend more on a brand new. Plus, it's easy, take a used property, have it clean, fixed and even redesigned then have it rented or sold. However, just because it's easy to do doesn't always mean that you will get sales immediately. Every business ventures need proper training for it to be successful. As always, please subscribe and RATE the podcast ! 5 stars would be awesome, and will help other people find the podcast so that they can benefit too! I recorded this video a few years back, but the message is still as powerful today as it was back then. Watch the video to find out what I mean…. When I first started in property, my strategy was to buy low, refurbish the property and then sell high. Going back 20 years though, we didn’t have the level of education we have available to us now. Fast forward 20 years to today, and we don’t need to make those same mistakes, and we even have access to mentors who have personally flipped hundreds of properties and helped their investors do so too. 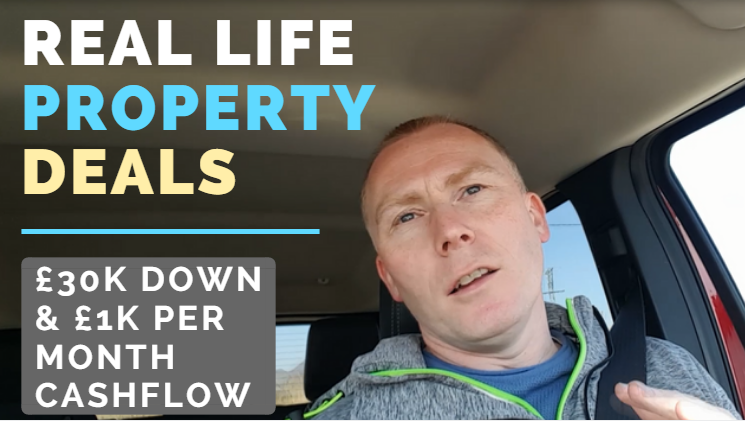 So last week, I was having a conversation with Mike, a good friend of mine who has been doing property flips for 25 years or so and the conversation went on to how things have changed in the property market. Even investors with a lot of experience are getting stuck. And if they’re getting stuck, no wonder others with less experience are too. New legislation, changes in the amount of properties available, it’s all changing. But luckily, we have people like Mike out there who can spot the changes, and adapt accordingly to make the most out of the new opportunities this represents. And luckily for the rest of us, he’s teaching it in Mayand in Cardiff. It’s a one day training course at a price that’s so low it’s ridiculous! Now Mike LOVES helping others. It’s one of the reasons we speak so often. I love surrounding myself with positive can do people who actually have the EXPERIENCE. Someone just like me who gets frustrated when the new property trainer with 6 months experience starts selling training because they got their first deal right. But Mike is the real deal. He’s done all these deals himself, not just learned them on a training course somewhere, but actually implemented what he knows for the last 25 years. TWENTY FIVE YEARS!! I’ve known Mike for about 5 years now, and he’s even been one of my coaching clients. But you know when you meet someone, and you instantly connect, and you know that the person is a good stand up guy? That’s Mike – he knows his stuff inside out and back to front and he’s an excellent coach, trainer and presenter as well as a valued friend. So if you’re at a more advanced level, or you want to be, then take a look. I hope you can make one of the dates, because if you can, you’ll be in very good hands with Mike. 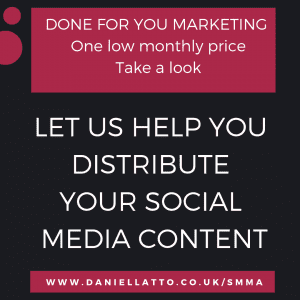 If you do go – let me know how it goes for you ! And luckily for the rest of us, he’s teaching it in May in Rugby and in Cardiff. #BillionaireBootcamp – Thanks for those that reached out – I’m back at the villa tomorrow so can respond with more info for you ! The training finished last night where we burned all our limiting beliefs and our ‘keywords’ that we had identified and processed; last night under the stars. An empowering week for sure, and an uplifting outlook for the future that will likely emerge as a big income shift. When you look at how you’re playing now, and compare that with how you should be playing, the gaps are blindingly obvious, but it takes an expert like Chris Howard to enable you to go deeper than you’ve ever gone before and pull out all of those belief systems and strategies and work through them to see if they’re serving you, or just keeping you comfortable and where you already are. Looking forward to getting back to Spain (later tonight via Gatwick) and getting cracking tomorrow. For those that want the change too, you can still reach out and PM me. 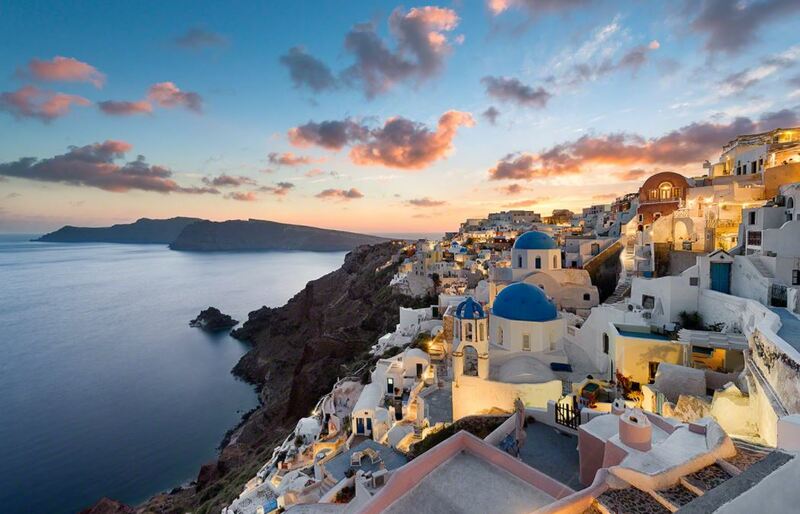 If you already have some money, and want to get started Property Sourcing and making between £2,500 and £5,500 per deal, then reach out too – we have one of the best trainers and coaches in the UK who specialises in JUST Property Sourcing and nothing else. 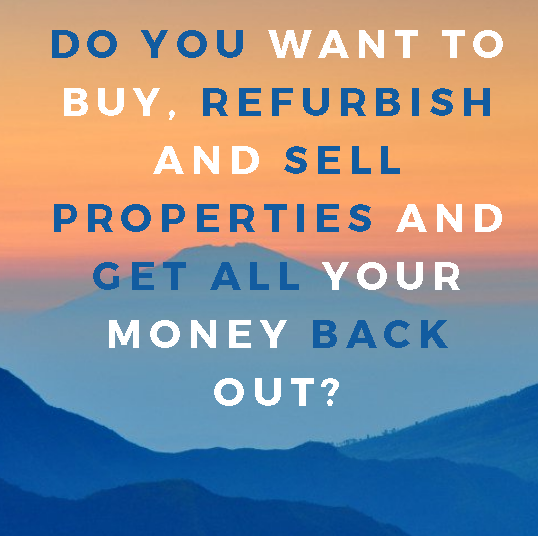 And if you have beween £60k and £100k and want to start making £20 profit per deal, we have one of the best Property Refurbishment coach and trainer lined up. With more than 20 years experience, he JUST DOES Property refurbishment. It’s all happening – but only you can make that decision to move forward. Drop me a PM if you would like any more information on any of the above, or just want to understand where to put your money in 2018. Now, I need to go and catch my flight ! I’ve just recently come back to Spain from the UK. Each time I do this it’s a bit of a trek. Buses, trains, planes and taxis. It takes quite a bit to get there and get back. This is my choice though. I make that choice to go through all of that so I can live in Spain and have the lifestyle that I have out here. You have your choices too. The job that you have is a choice. The travel to work is a choice. You made those choices and you continue to make them. You choose to get up in a morning, then you chose whether to have breakfast or not and how you are going to get to work etc. You can make different choices if you want to. That’s what I did. I chose to stop sitting in queues of traffic each morning to go to a job that didn’t really fulfil me or make me truly happy. I chose to put an end to that. 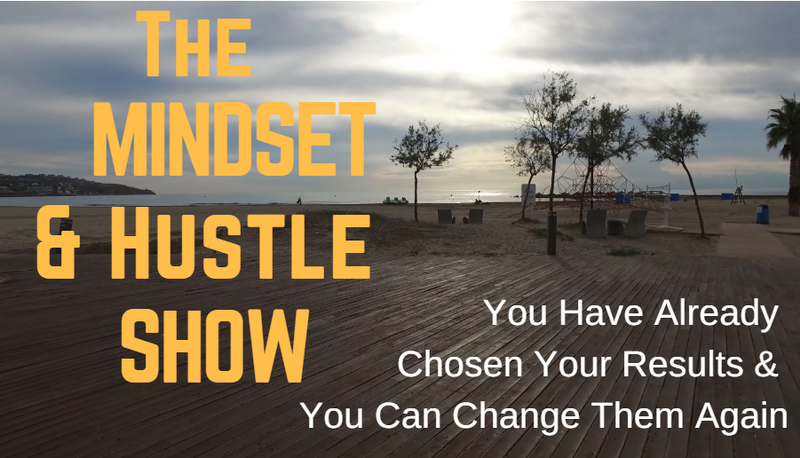 If you felt like you truly had a choice, what would you do tomorrow morning? Would you get up and go to work because you love what you do or would you like to do something different? If you love your job then that’s great. You’ve found something that fulfils you so keep on doing it. If you would rather make a different choice then you need to start making some different choices. Instead of sitting watching tv, how about you start working on a business that is going to pay you enough over time so that you can leave that job that you don’t really like? If you don’t have the skills yet, go and get those skills. If you don’t have the confidence to do it on your own, go and get a coach to guide you and help you with your mindset. It’s all about the choices you make from day to day and moment to moment. 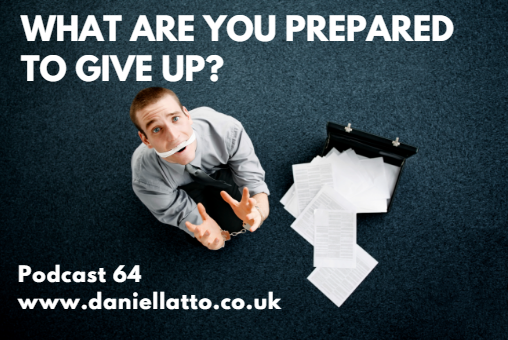 Podcast 65 – What Are You Prepared To Give Up? 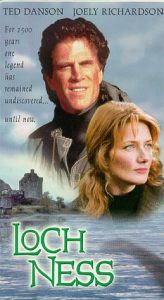 I was in Leeds this weekend just gone and I happened to be channel hopping where I saw a lady complaining about the fact that she could only holiday in Wales and not Portugal. In the next sentence she talked about a number of TV programmes and it got me thinking … What Are You Prepared To Give Up to get what you want out of life ? To get the life that you truly dream of you are going to have to give up some things like sitting in front of the telly instead of working on achieving your dream. If you want to lose weight, which method is going to be more effective? Watching Coronation Street, Eastenders and Great British Bake Off or going out for a run? The more that you are willing to sacrifice the more you can achieve. You can listen to this podcast and many more by using the links below.